We use only select and better, kiln dried hardwood lumber to ensure quality and generational endurance in our solid hardwood tables, surfaces and table tops. 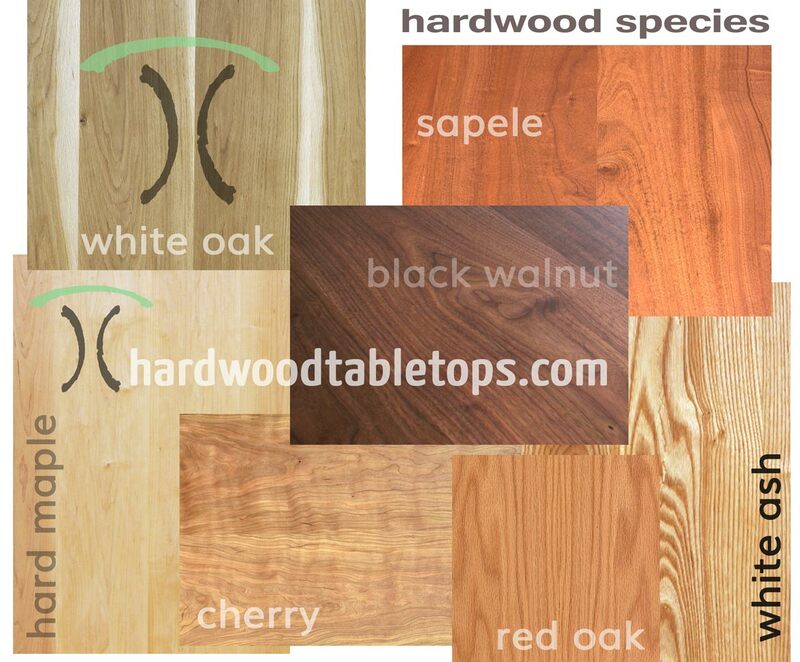 We offer tops and tables in Black Walnut, Cherry, Ash, Hard Maple, Hard White Maple, White Oak, African Mahogany and Sapele Mahogany. Other hardwoods are available in direct custom orders from additional non-endangered hardwood species. Our hardwoods are selected for quality and each top is crafted with artistic color and grain matching. Our live edge slabs are sourced locally from sawyers who share our ideals concerning sustainability. Our logs are taken from trees that have come down naturally, died or had to be taken down due to reasons other than being harvested for their hardwood value. Once these logs have been sawn into slab we air dry them to remove the free water contained within and the carefully kiln dry them in our custom Nyle dehumidification kiln to a moisture level of 6-7%. 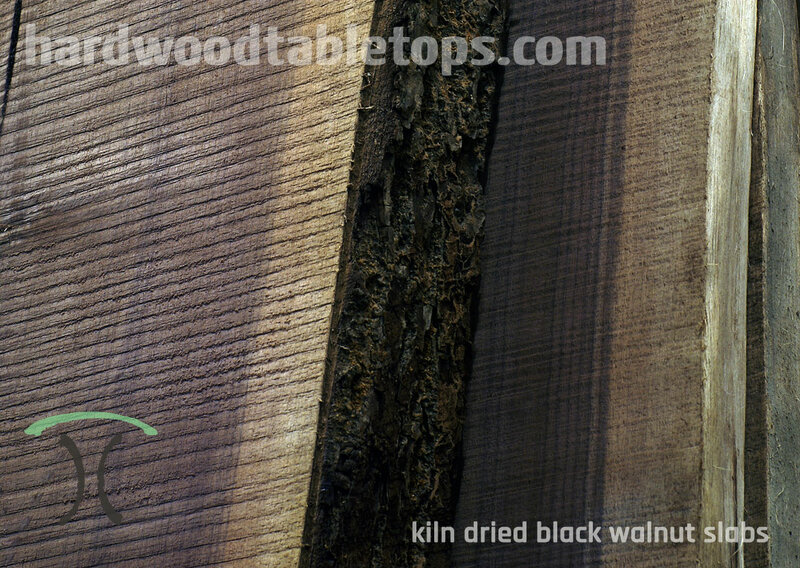 The kiln drying process is absolutely essential to long term endurance in any table or table top as air dried only tops can be expected to last perhaps a year rather than generations when they are crafted from kiln dried hardwoods. Our live edge and slab tables are unsurpassed in terms of quality and will endure generations. The quality and endurance of any solid table top is entirely dependent on it being handcrafted from kiln dried hardwoods.